Halloween just started series of November and December holidays. It’s a fact that sales are getting bigger this period, but the business struggle is great as well. So let the customers be aware of your special offers and holidays discounts and let them make a choice for your webstore. Specially for these events BelVG wants to offer you a free module for Magento 1 and 2 versions and Prestashop, which is called Promotional Banner. 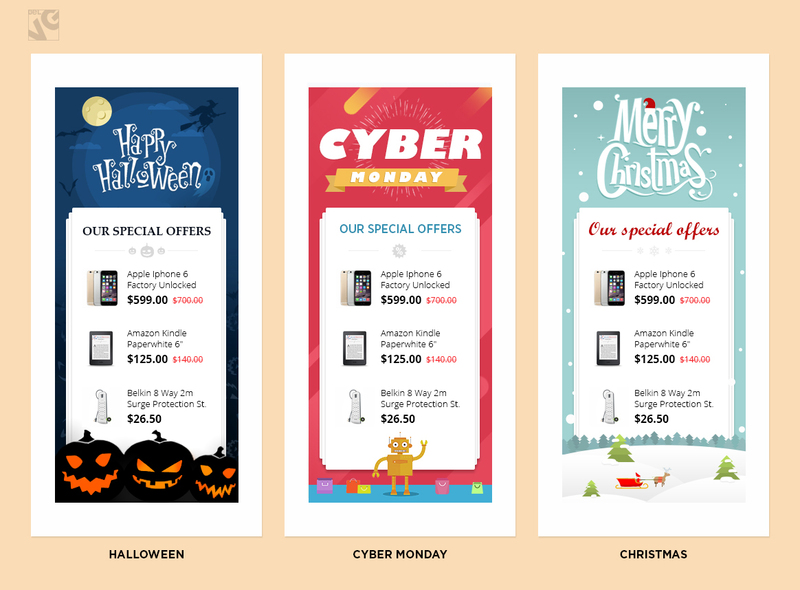 With the new module you will make your store look really cool and special for almost every popular event or holiday! And like every year we prepared a special surprise for you! We decided to prolong our special discount offer until November 3rd! Get extensions with 31% discount and expand the functionality of your website and be prepared for upcoming holidays. Visit our stores of Magento and Prestashop modules and themes!